The landscaping at your Avila Beach home or business should accentuate the surrounding natural beauty while giving you space to enjoy your outdoor living area. Entertaining guests, strolling through your garden, or simply having a glass of wine on your patio in the evening is the perfect reminder of why you chose to live in such a beautiful and luxurious part of the Central Coast. 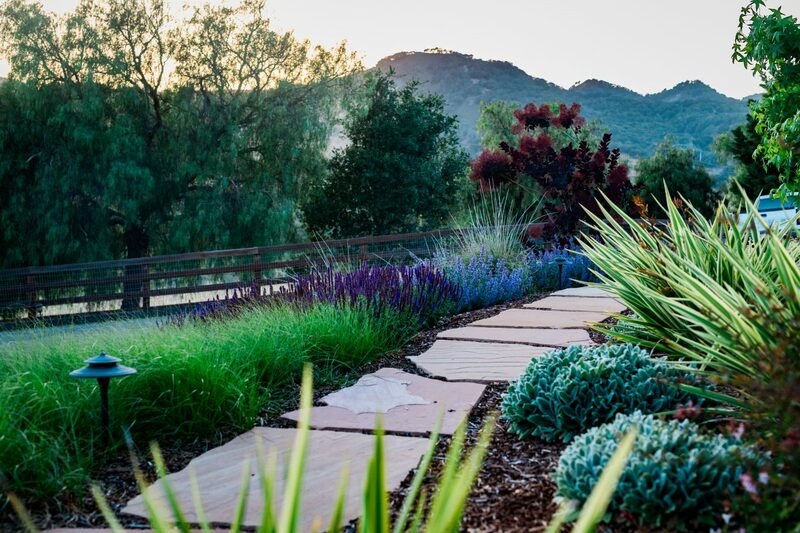 Wild Bloom understands the microclimates and challenges of landscaping in Avila Beach. We customize our landscape designs to match your specific property, objectives, and budget. This ensures you will have a landscape with thriving plants and unique hardscape areas. Wild Bloom focuses on native, low-water, and artistically designed landscapes. Our construction technicians are adept at creating landscape features such as patios, walkways, native gardens, outdoor kitchens, and almost anything else you can dream up. If you need maintenance, our Garden Specialists are trained in sustainable landscape care, helping nurture your landscape throughout the seasons. Contact us to learn more about how we can help you transform your Avila Beach landscape into a thriving and beautiful outdoor living area.